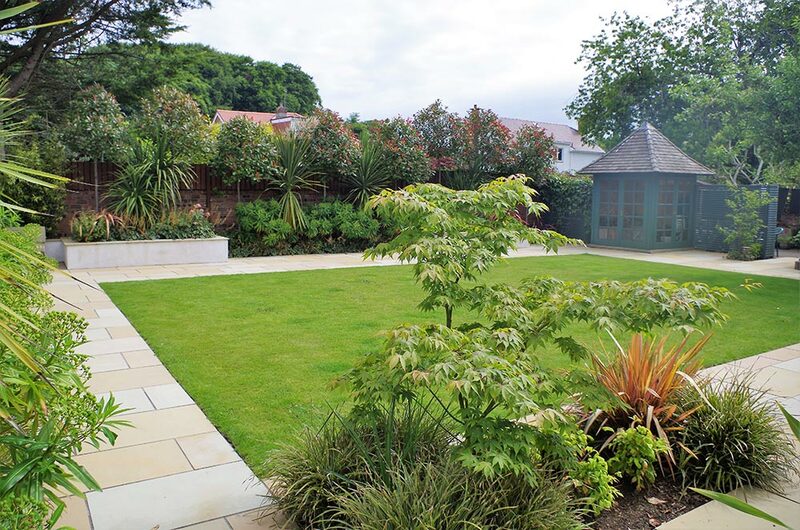 This is a large formal garden featuring a mix of exotic planting, which is well suited to Ayr’s mild maritime climate. The design centres on the strong geometry and expansive space created by the main lawn area. 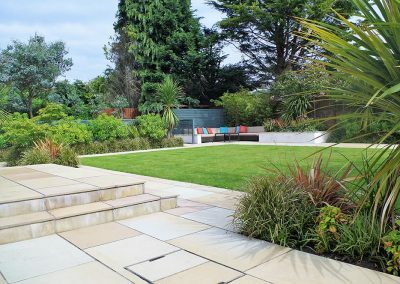 Sawn sandstone paving has been used for the paving and surrounding paths. 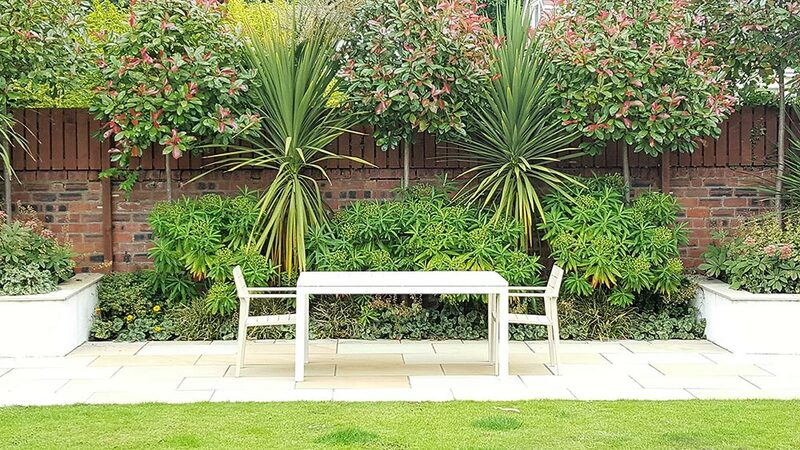 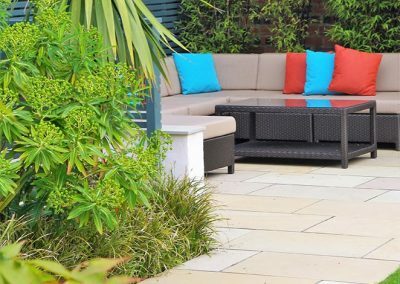 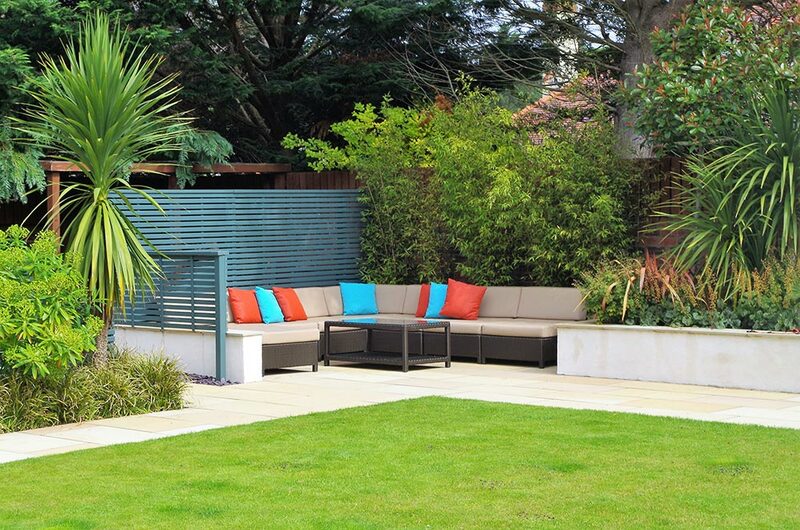 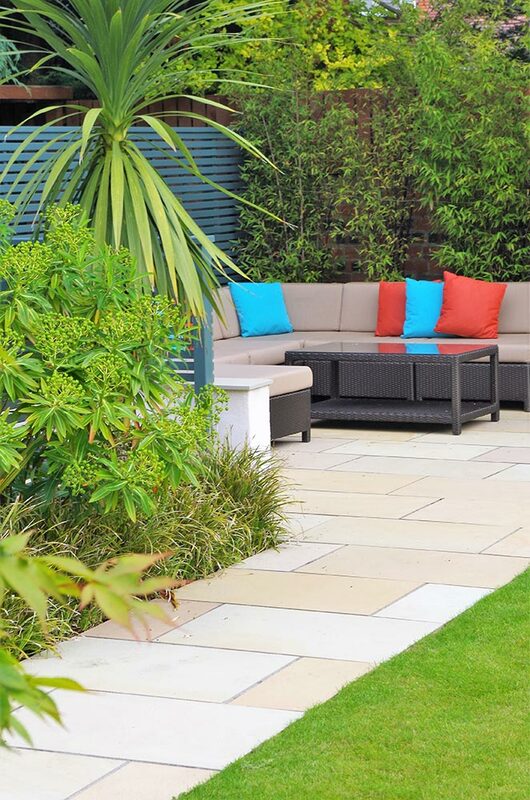 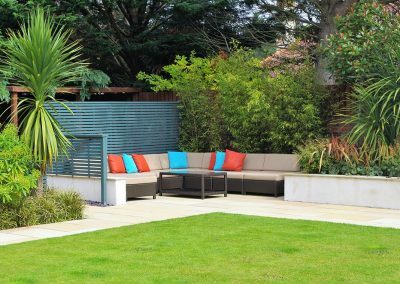 The planting around the dining area includes Cordyline, Phormium, Euphorbia, and for the screening – Photinia. 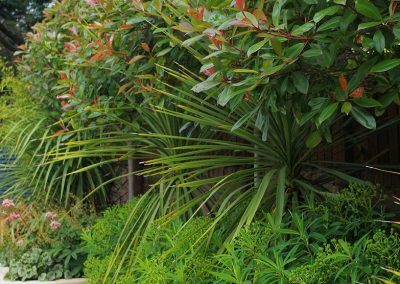 Pictured above is Euphorbia mellifera which means ‘Honey Spurge’ in Latin. 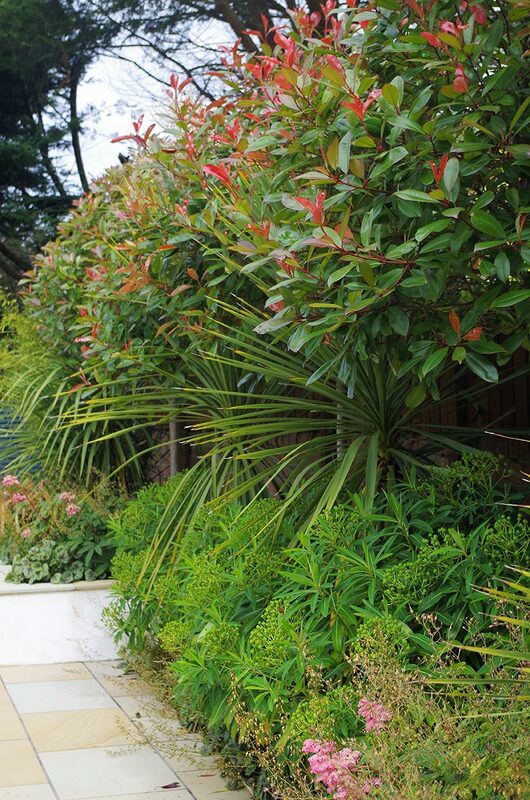 It grows wild on the island of Madeira and is notable for it’s heavy honey scent and intense spring colouring. 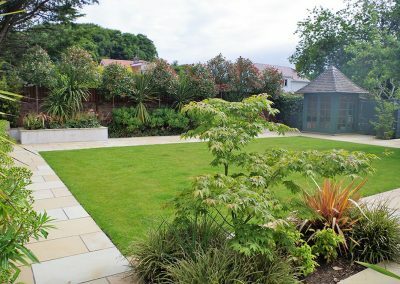 In this Ayr garden, which enjoys a benign maritime micro-climate, this plant will get the sunny conditions it prefers. 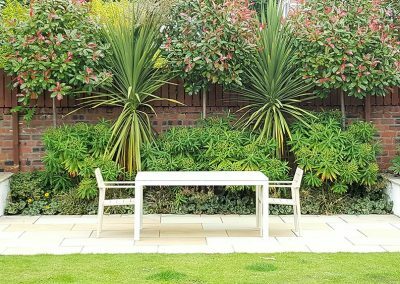 Euphorbia is a good structural plant – it’s flowers form large cupolas, as well as whorls of thick, variegated leaves.